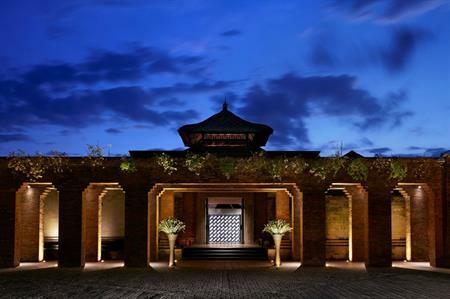 Mandapa, a Ritz-Carlton Reserve hotel and resort, opened last week (5 September) in Ubud, Bali. Mandapa is located along the Ayung River as it meets the jungle in Ubud, and is intended to offer an experience of wellness and detox to guests. It has 35 ‘luxurious’ suites and 25 private pool villas, decorated in traditional but contemporary Balinese styles. The resort features a spa with eight treatment rooms, state-of-the-art fitness centre, sauna, riverfront yoga studio, vitality-pool and relaxation areas. Other facilities include four restaurants and lounges offering Indonesian cuisine, Mediterranean dining and tailored, health-conscious menus to go with the wellness and detox program. Guests will also be able to enjoy Dining Beyond, an exclusive culinary journey where they can dine in exclusive locations within the reserve, eating from tailor-made menus. The resort also features an organic garden and farm alongside a traditional rice field, where guests can experience the methods of planting, harvesting and tending the local staple.